Ray Kirk started forging knives in 1989. As an American Bladesmith Society Master Smith, he specializes in useful, simple designs that are beautiful in style. He’s won many awards, including three 1st Place awards at the ABS World Championship. Ray works with the KGA of Oklahoma and was presented the Dee Daniel Boone Award for preserving the art and history of the forged blade. 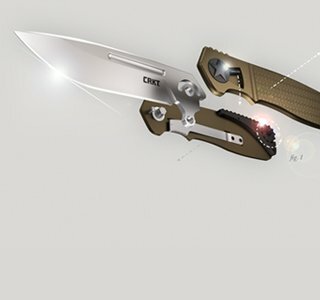 Ray designed the K.E.R.T.™ tool that has become a popular multi-tool.